Design your own personalised Nokia 8.1 case to protect your phone with style. The Nokia 8.1 personalised case itself does not make your mobile phone more difficult to design. If you want to keep your phone in perfect condition, you should design your own personalised Nokia 8.1 hard case. A unique case that can be created quickly and easily. The slim phone sleeve lies and holds the hand and does not make the phone unnecessarily clumsy, while still providing reliable protection. With this sleeve, it's much less likely that your phone suffers from unattractive or even critical damage. We've designed this case to be easy to put on and work well. If you don't have inspiration for a nice print, check out our recommendations. 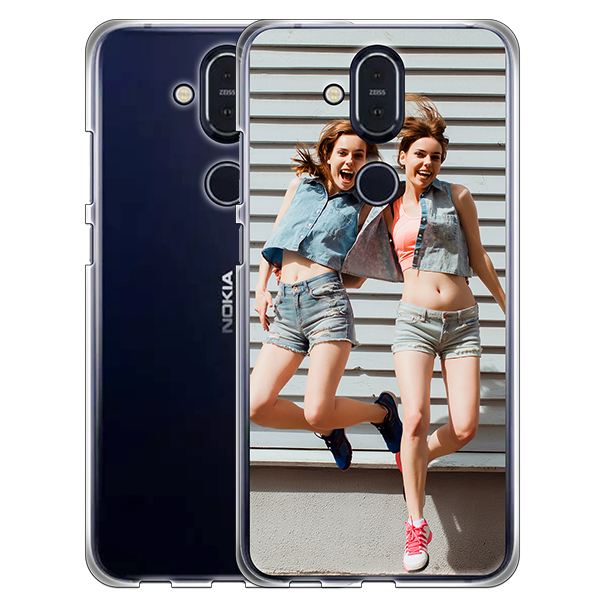 It's never been easier to design your own personalised Nokia 8.1 phone case, just upload your photo to the customizer and off you go! 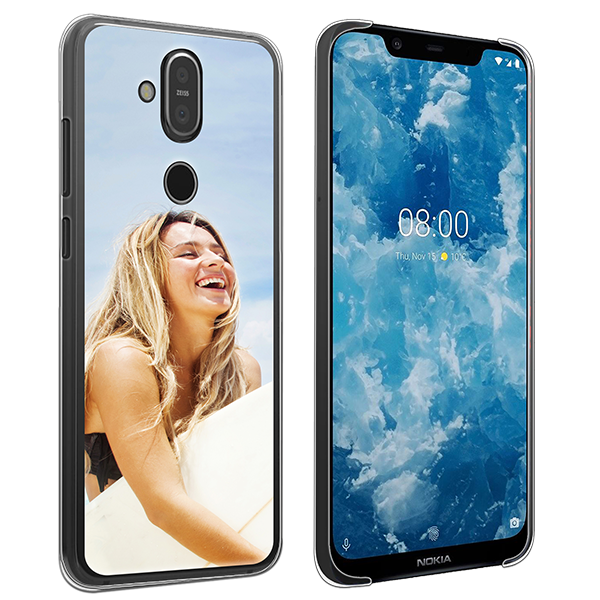 Are you finished designing your own personalised Nokia 8.1 case and satisfied with your design? Have you clicked on the preview button to make sure everything is as you want it to be? Then you're ready to complete your phone case order. Once you've completed all the details and paid for the order, our team will get started right away. We will be happy to make sure that your phone case is delivered as soon as possible. That's why we'll let you know that if the case is ordered before a certain time, we'll ship it the same day. Do you have any questions? Send an email to our customer service! We are always there for you. Designing a custom Nokia 8.1 case is quite simple and can be done in a few simple steps. The first step is to select and upload a photo or design. Think of a photo with a nice memory or an inspiring quote. You can upload the photo from your computer, mobile phone, Facebook and Instagram. Edit the photo in our customizer until the image on the sleeve is what you want it to be. Design your own Nokia 8.1 case in just a few steps and in less than five minutes. 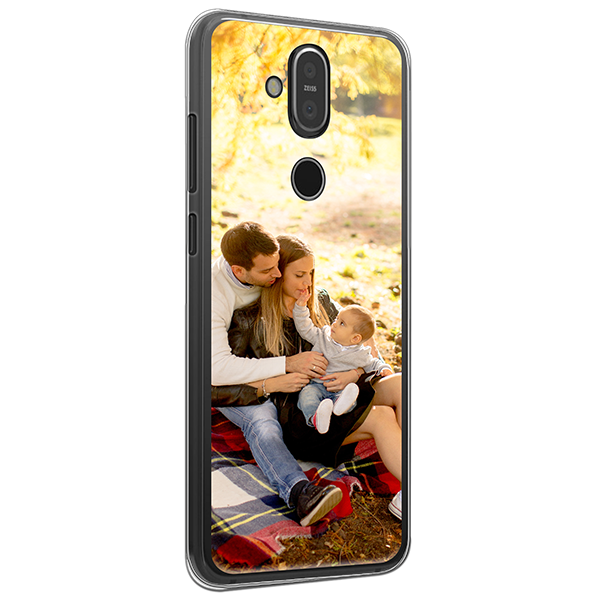 Don't wait any longer and start right away designing a personalised Nokia 8.1 case!